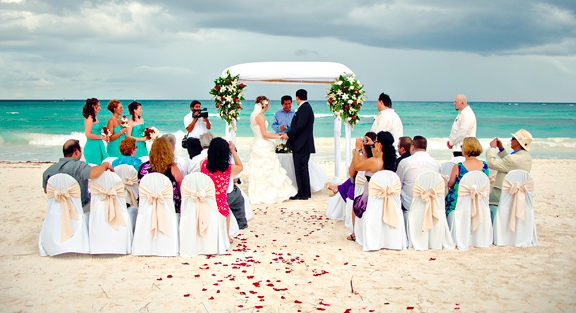 Destination weddings continue to be very popular. Many factors influence a couples’ decision to have their ceremony away from home. Among the reasons is the desire to prolong the celebration and spend more time with an intimate group of family and friends. 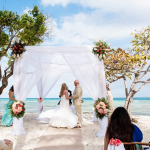 Additionally, this alternative to a traditional ceremony can save the couple (or their families) a considerable amount of money. The same can’t always be said for the wedding guests. Between travel expenses, hotel accommodations, and other travel-related costs, attending a destination wedding is quite a commitment. This often leads to the question, “If I’m attending a destination wedding, am I expected to send a gift?” To be brief, the answer is yes. 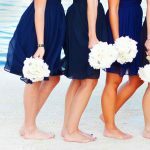 If you spend a considerable amount to attend the wedding, it’s perfectly acceptable to opt for a less expensive gift, but it doesn’t justify the decision not to send one. Most couples planning destination weddings lower their gift expectations; understanding that guests who have stretched their budget to attend the wedding will most likely spend less. So don’t fret about the appropriate amount of money to spend; think of your budget and your relationship to the couple, then make a decision based upon what is comfortable for you. A thoughtful, yet less-expensive gift will always be appreciated. Considerate couples will register for wedding gifts in all price ranges. Simply use Registryfinder.com to find the couple’s wedding gift registry, pick a gift that fits your budget, and it will be sent directly to the bride or couple’s home. So easy and stress-free you can focus on having fun at that destination wedding.